SIGMA 630 PRO is electric workshop band saw machine for plastic pipes HDPE, PP, PVDF, PVC; the ideal equipment to match Alfa fittings fabrication machines. The SIGMA 630 PRO is designed to make angular cut, featuring a wide range of angles (from - 30° to 67,5°). Both the preparation and cutting phases are extremely simple and safe to perform. 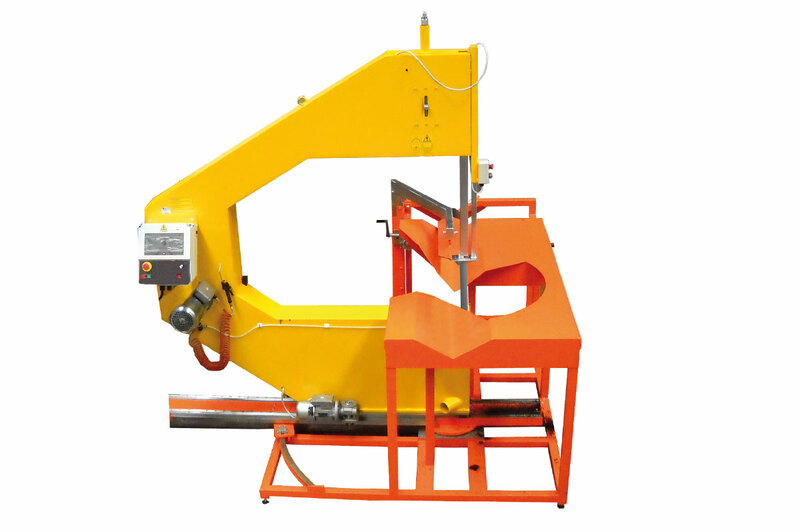 The machine is provided with special spherical bearings guides where the machine body can easily move sideward. 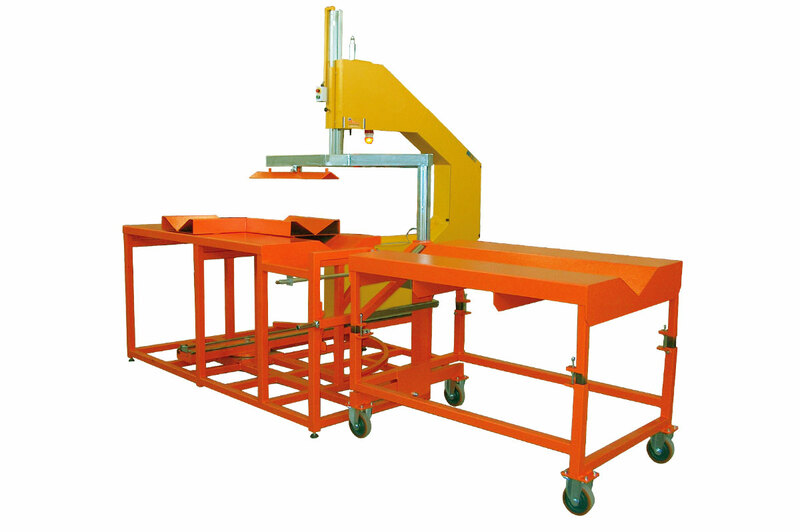 The equipment includes a control panel, located at a safety distance from the cutting area, where the operator can control the automatic movement of the arch saw (IN/OUT) and also adjust and regulate the cutting speed. Special auxiliary devices can relieve the stress on the blade and help reducing the ordinary technical maintenance.